The terrifying goddess Kali, wearing a necklace of skulls and holding a severed head in one of her hands, is here worshiped by the great gods. 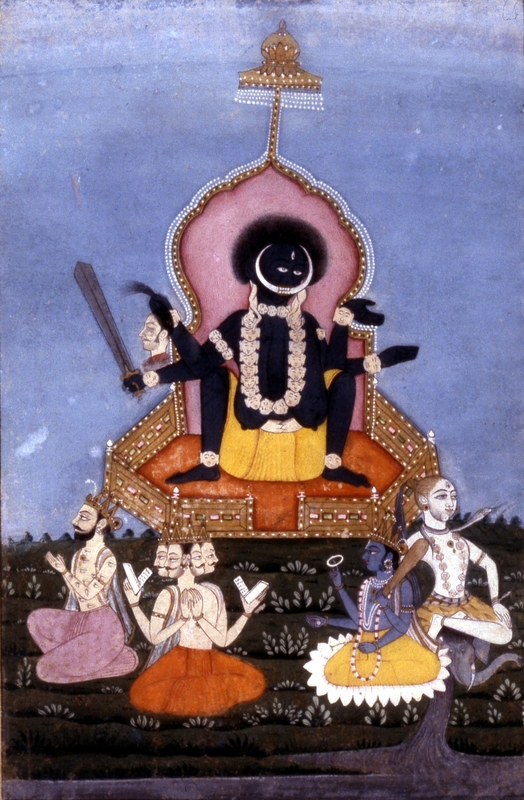 From the left, we see Indra, Brahma (the creator), Vishnu (the preserver), and Shiva (the destroyer). Kali stands for the forces of destruction, but she is also a life-giver. Her posture is that of a woman giving birth.